YES.....WE HAVE CHANGED OUR NAME BUT NOT OUR EXCEPTIONAL SERVICE. WE HAVE EXPANDED AND RESTRUCTURED. LICENSED IN BOTH QUEENSLAND AND VICTORIA WE CAN NOW OFFER A BROADER RANGE OF SERVICES AND WITH THE VAST EXPERIENCE OF OUR STAFF THIS CAN ONLY BENEFIT OUR LOYAL CLIENTS. 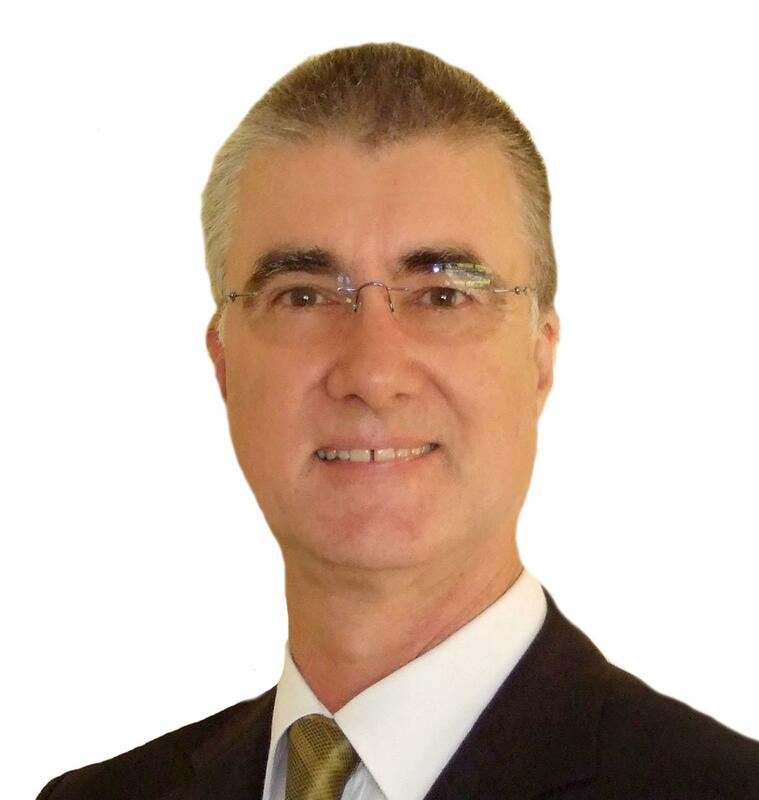 HELLO, and welcome to our RealtyGC incorporating Thomas Marshall & Co web site, we are a boutique agency specialising in old fashioned service and a very select number of new and established properties in Melbourne and Queensland for your consideration. Our name reflects the founding member of a family of real Estate Agents dating back to 1929 when Thomas Marshall opened his agency in the the Melbourne CBD. Thomas Marshall is the name of the the current owners grandfather and Jamie pays homage to his ancestry. Our Melbourne associate Bob Wright also has a long history of real estate ties in Melbourne with his father opening his office in Canterbury in the 1950's. This vast real estate background as well as a love of the industry is what sets us apart from most agents. Our agency represents a culmination of many years of property experience. Over the years we have sold millions of dollars in real estate. Individually we have on many occasions purchased, renovated and invested in property with positive outcomes being mindful of the boom and bust cyclical nature of the asset class most of us call home, so please avail yourselves of our professional experience. We operate differently to most other agencies in that we don’t sugar coat the selling process just to get a listing. We handle every sale personally with good marketing and sale strategies which includes open homes weekly until sold. We do not promote auction strategies for selling unless the property has unique characteristics and with 30 years’ experience on the Gold Coast we understand the market nuances and fluctuations from suburb to suburb and from the shoreline to the hills. Mostly we secure our listings by personal referral or alternatively someone will have a specific request in a preferred location which requires us to organise a letterbox drop procuring a specific home or unit of choice for our clientele. Please take the time to navigate our site and call Jamie or Bob for obligation free answers to your property questions. Property values slide down south. I have left my 2018 newsletter on the web page for reference. If you heeded it last year you will be in good shape this year. If you didn’t you are in for a bumpy ride with further downside. As I tipped, the southern states are starting to see the effect of years of property values increasing at a too rapid rate and can expect to see, I believe an overall drop of perhaps 30 per cent over the next couple of years. The rate in decline will be gentle for the first couple of years and will then accelerate as buyers flee the market place and sellers realise there is only one way prices have to go to achieve a sale. Down. I have been telling colleagues in Melbourne to be prepared for this for the last couple of years. Property values can’t keep going up at such alarming rates without a similar increase in wages. The ratio of borrowing to income becomes untenable. Families, who jumped into the investment property wagon at the top of the boom will, sadly be hit hard. Just to make matters worse the major banks are playing hardball with clients. Even existing customers with years of faithful banking history are having difficulty even with a pre approved loan. The hoops they are having to jump through are just becoming far too small. The Gold Coast market on the other hand has been performing in an acceptable manner with prices edging up over the past 12 months by about 7%. Unfortunately our market is being tainted by media reports of massive price drops in the southern states which ultimately affects our fairly solid market. The perception is we are in the same boat as they are. When in actual fact we suffered our massive price drops several years ago. If you look at the stats for Gold Coast suburbs you will note that there has been perhaps a 1-2% increase in values over the past 10 years, but a 30% increase in the last 5 years. There is still upside here for further increases. Apartments and townhouses are slow to sell due to the number of properties for sale at any one time. Houses on the other hand are selling within weeks of listing because demand is still high. However, once again the banks are having an effect on borrowers. At the moment cash is king. Please remember in tough times the very experienced agents who have seen these slow markets before are the best to market your home to suit the economic times. Our staff have over 40 years each in the industry, know how to sell your home for the best price and with our all inclusive commission rates we look after our clients. but don't take this for granted. I still believe there is some upside in the Market but 2018 should be a year of consolidation. Investors should take a good look at their portfolio and perhaps cash in on some investment properties that don't tick all the right boxes. If you have all your investment eggs in the one basket, 2018 is the time to divest. Once again local residents are keeping the established market bubbling along. The new unit market will, I believe suffer from oversupply as major banks, local and overseas governments tighten the reins on lending, particularly to Chinese overseas residents. Eventually this will lead once again to an over supply of new apartments. The new year will also bring changes to lending criteria by domestic banks to local residents making the serviceability of loans more stringent. Investor or interest only loans were down some 35% in the last quarter stats. 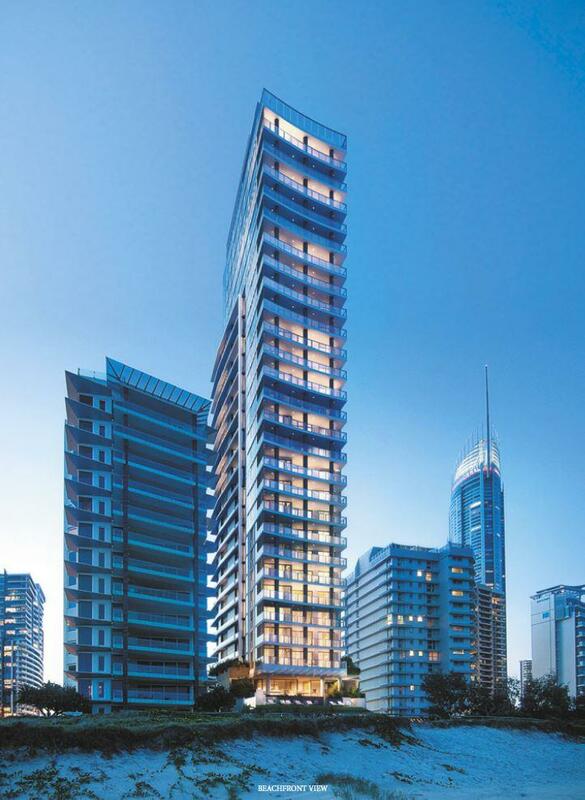 These criteria will not just affect the Gold Coast but will also affect the Melbourne market. Our office in Melbourne is already seeing a slight downturn in the market. Rapid increases in value over recent years could impact heavily on families who entered the investment market at the top of the cycle. Again, 2018 will be a good time to consolidate and have a really good look at your investment strategy. Those residents who have been considering retirement and a change of lifestyle/location should perhaps put that plan into action and think seriously about selling the home in Melbourne for a windfall price, buying in their chosen retirement destination and perhaps putting away a million dollar nest egg. It is important to remember if you plan to sell a property in 2018 stay within the parameters advised by your agent otherwise, if you aim too high the property will stagnate and have that stigma of an unsaleble home. We, like most agents are finding a lack of listings to be our biggest hurdle at present. All our listings during the year sold within days of hitting the market. This is for two reasons. One is a general shortage of good properties, and secondly our 40 year experience in this industry assures sellers that everything is being done to achieve a sale. We build a campaign in the 2 weeks prior to marketing that ensures large numbers of potential buyers view the property on the first weekend of listing, which generally leads to buyer competition and a most satisfactory sale price for our sellers. 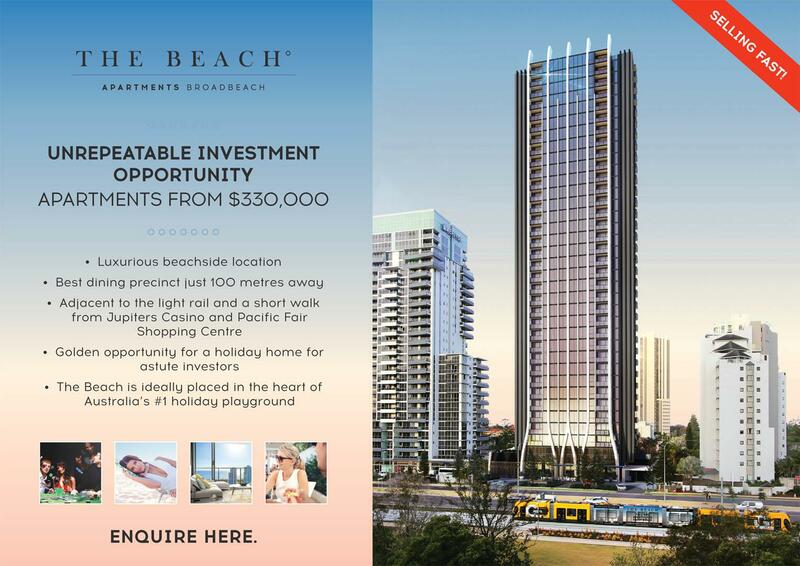 Just released on the beachfront at Surfers Paradise, these stunning apartments are only a stroll to the centre of Surfers Paradise and just down the road from the Northcliffe Surf Lifesaving Club. See more details in our "New Projects" page. Contact Jamie 0404 85 95 85 for more details, brochures and prices. Premium release Atmosphere Ashmore. Boutique Stand alone building with only 16 apartments left . 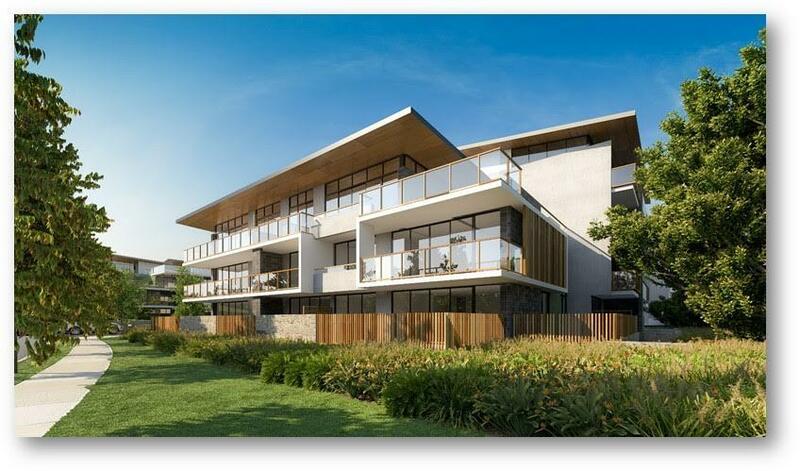 Contact Jamie on 0404 85 95 85 now for a brochure and details on this fabulous project. SHOPS OPPOSITE AND BACKING ONTO THE GOLF COURSE. HIGHLY DESIRABLE. Remodelled with 2 bedrooms, 2 bathrooms, huge balconies, modern kitchen. large lock up garage in security basement. PRICED FOR IMMEDIATE SALE! Superb single level 2 bedrrom townhouse in highly desirable enclave. Huge balcony, beautifully remodelled. Large Calfornian bungalow in stunning location and perfectly suited to family living with major schools and transport close by. Superb 3 bedroom town house with 2 bathrooms, 3 toilets, single garage. Ideal investment or owner occupy. Ground floor, single level 2 bedroom unit, opposite the Broadwater. I am not Australian. Can I still buy a home?